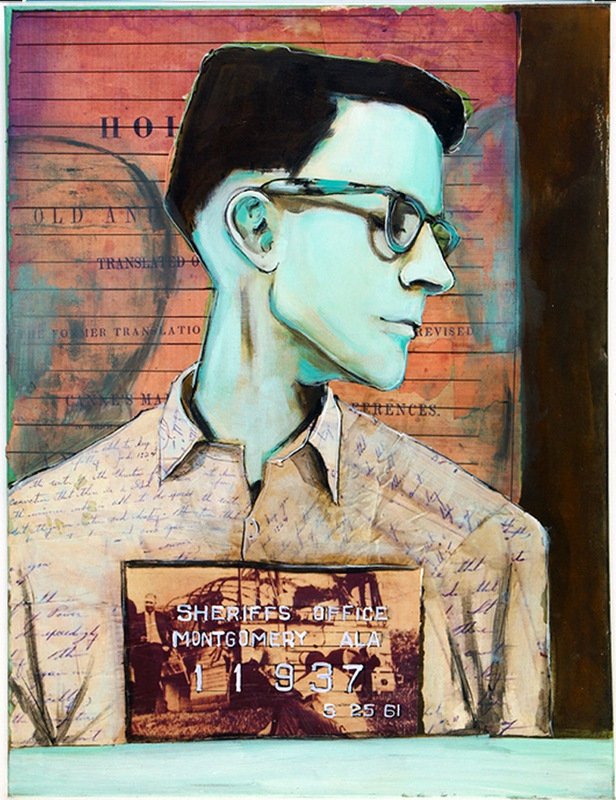 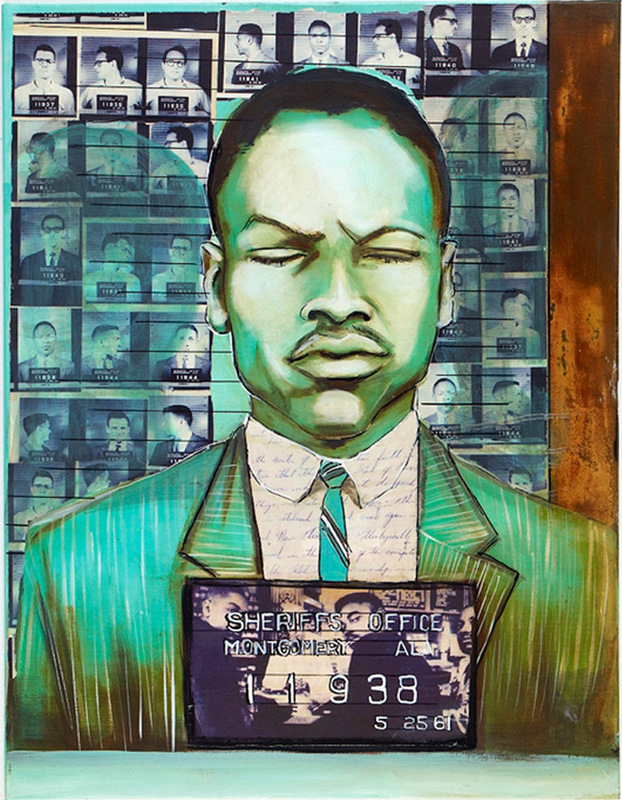 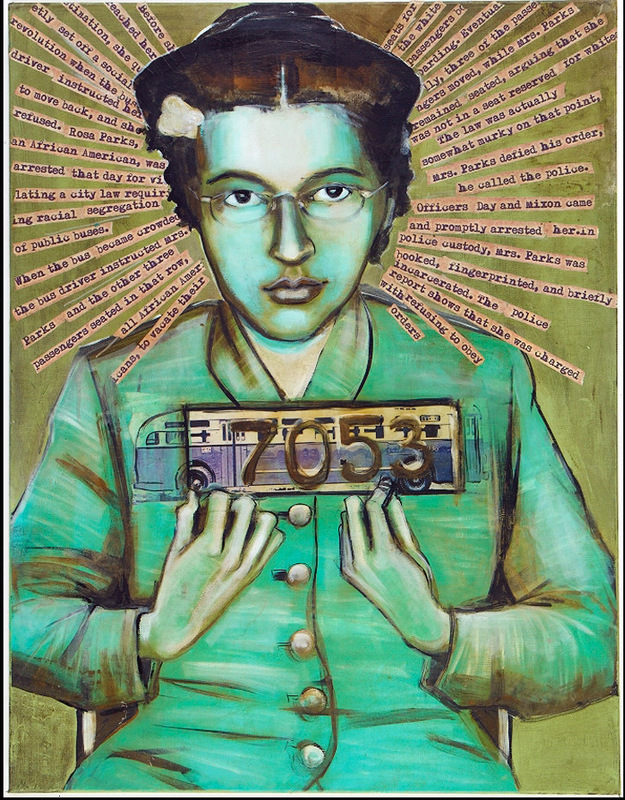 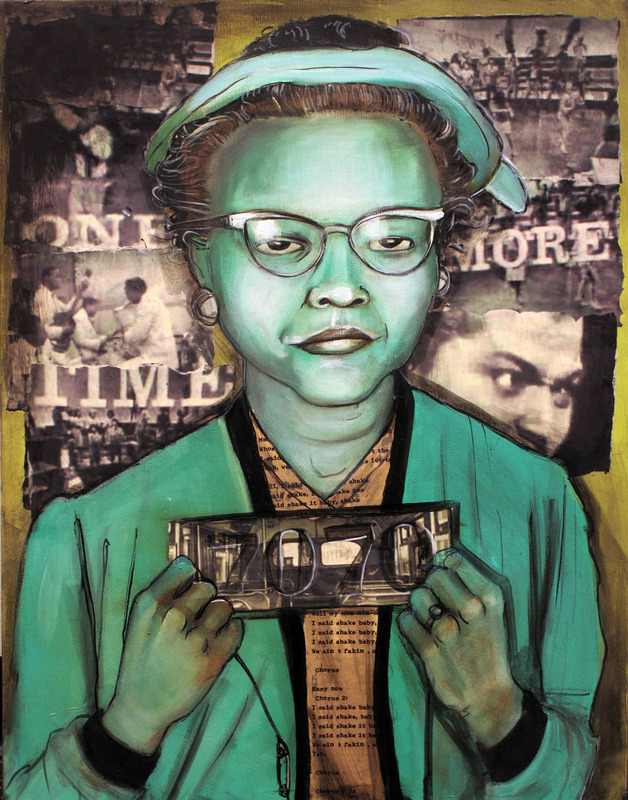 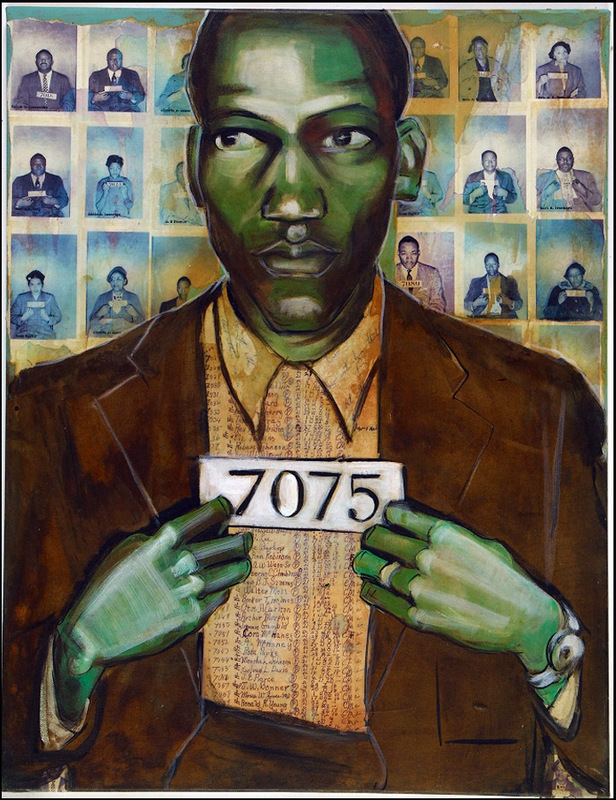 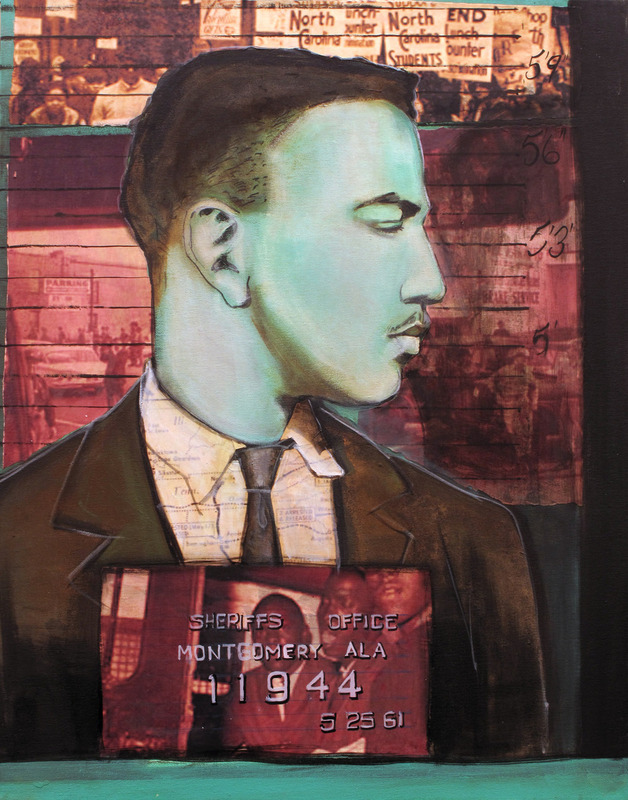 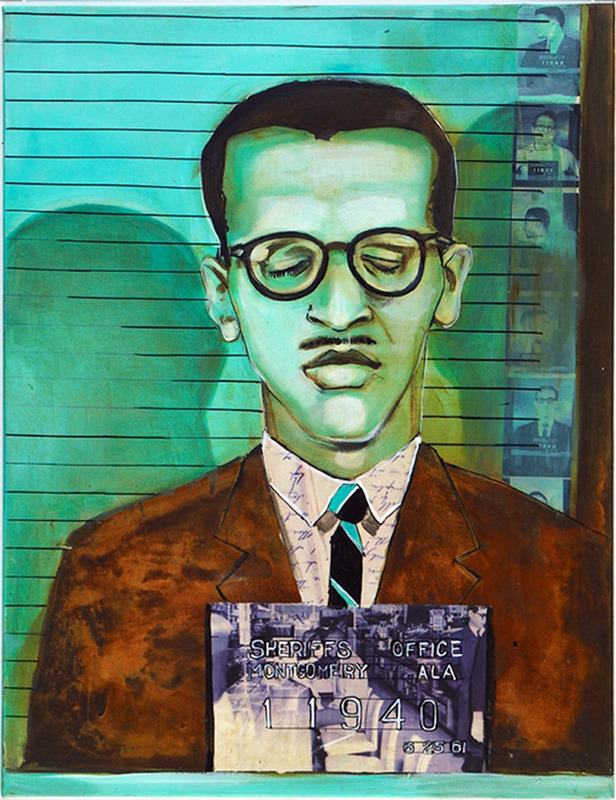 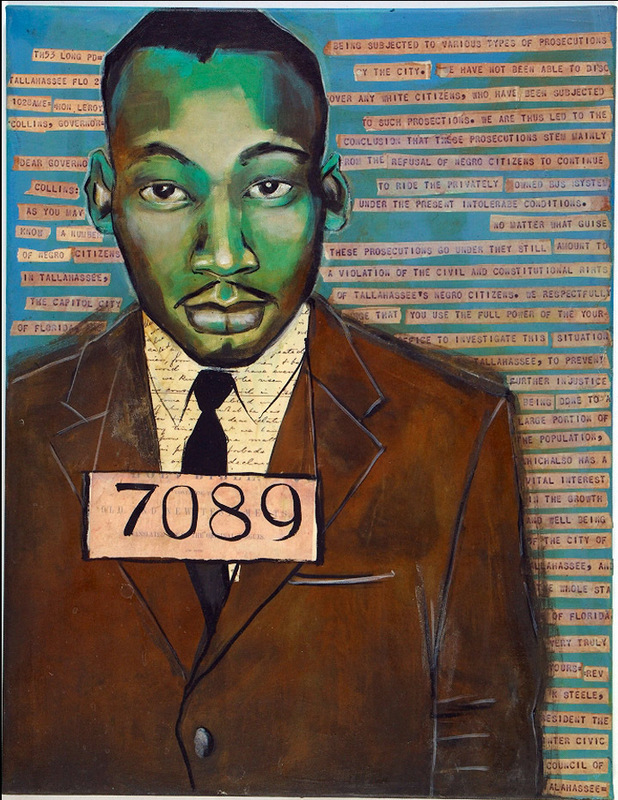 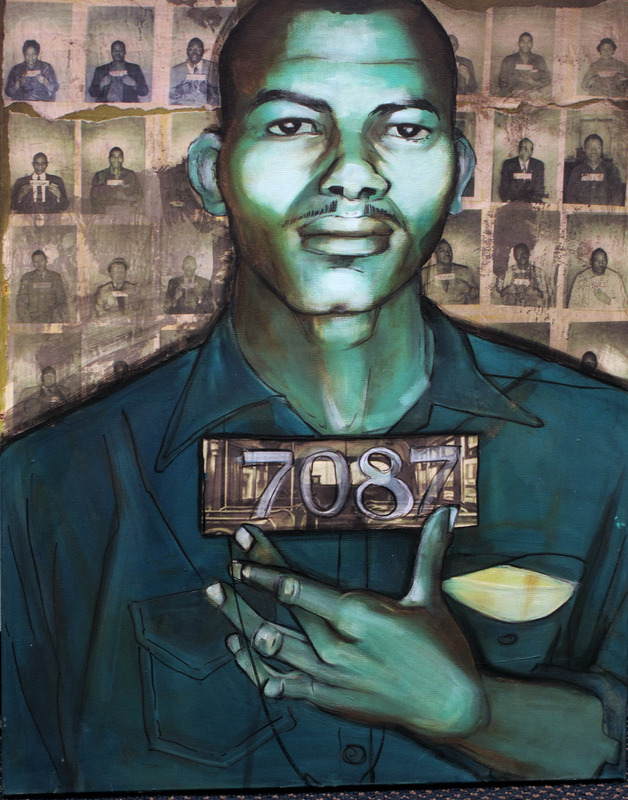 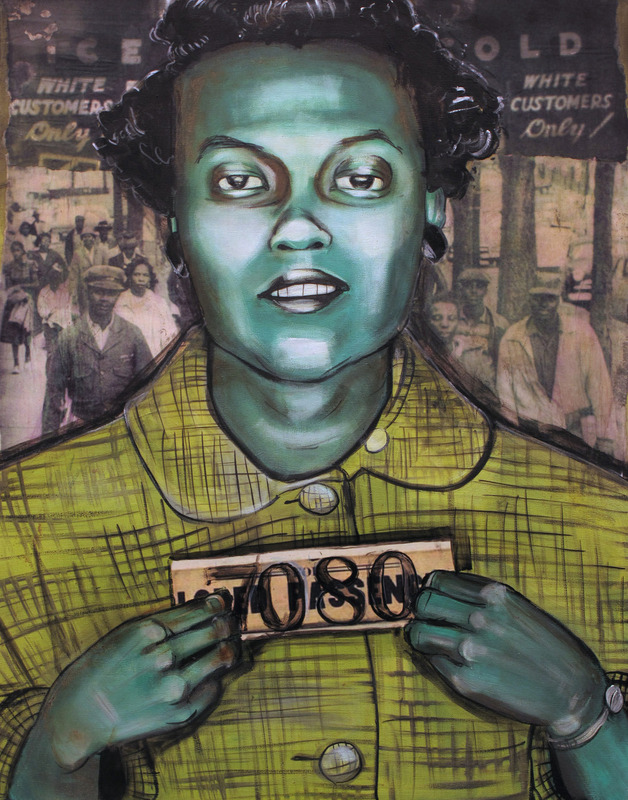 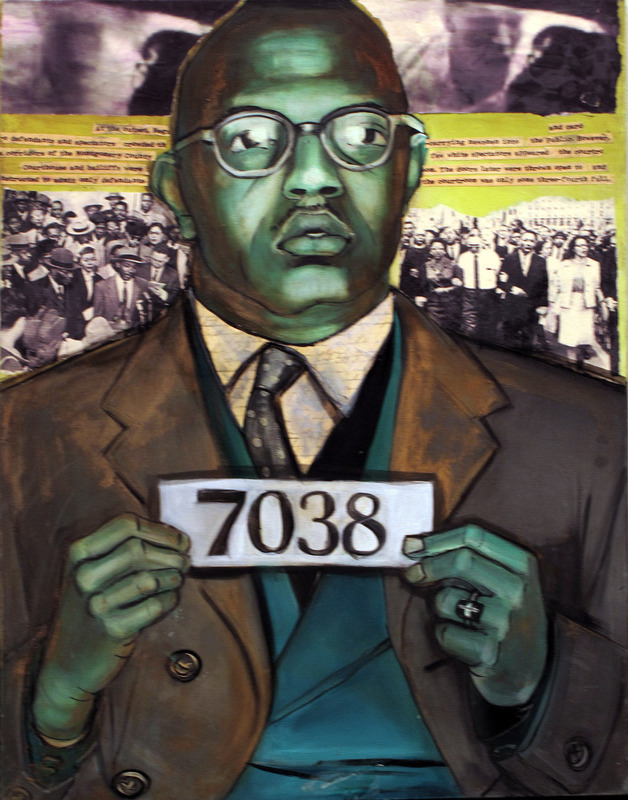 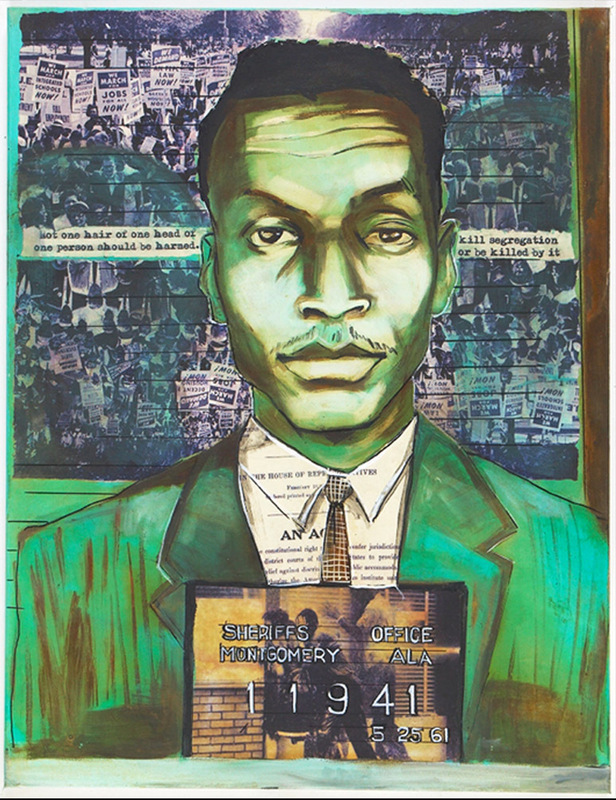 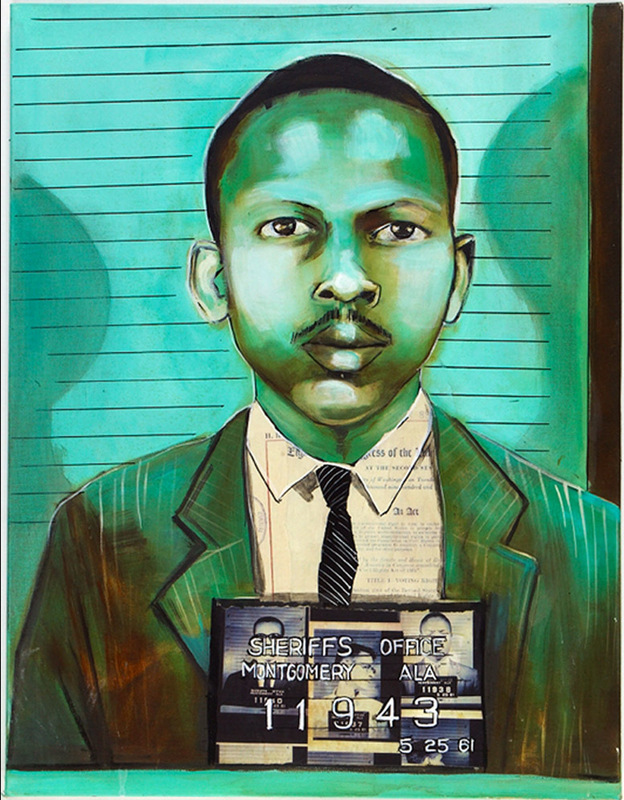 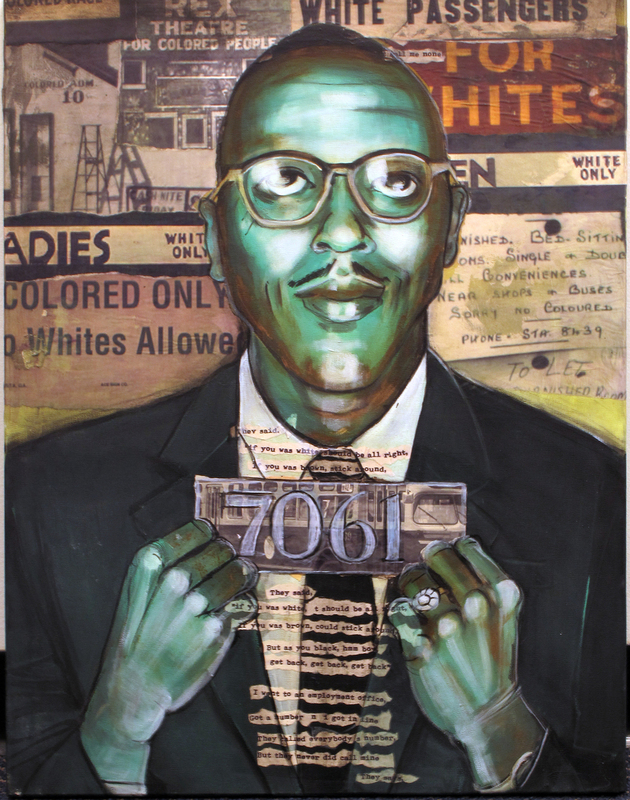 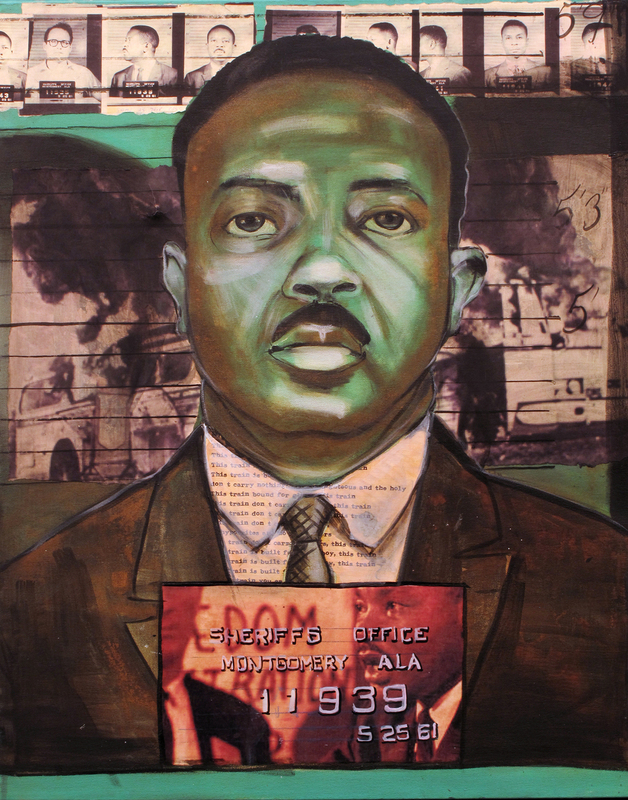 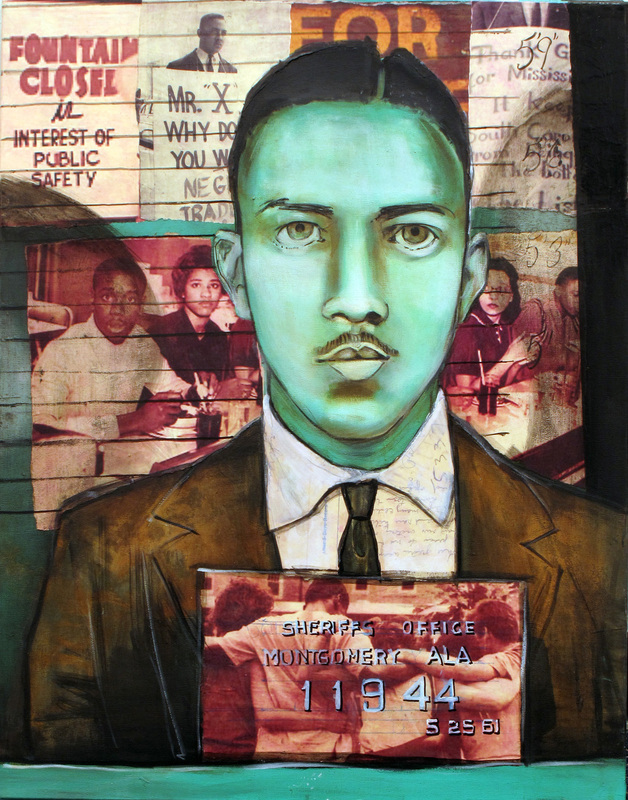 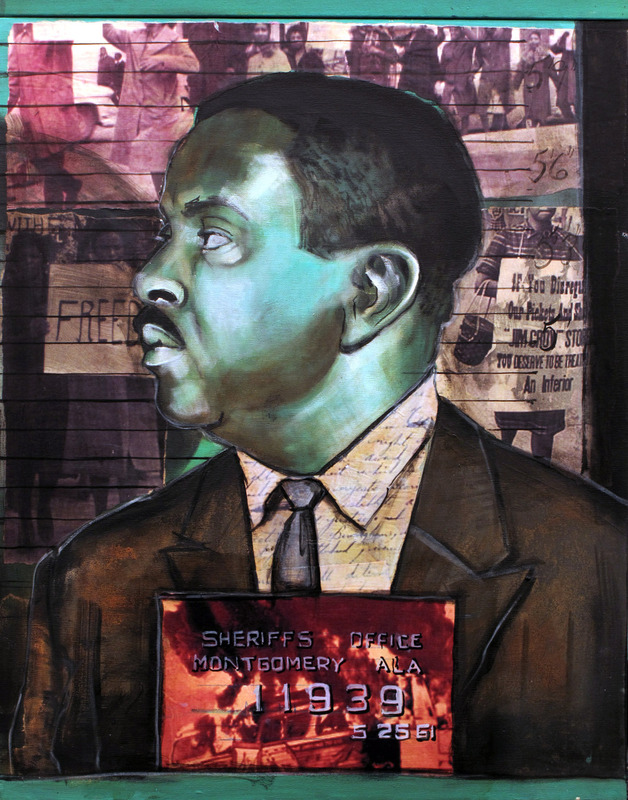 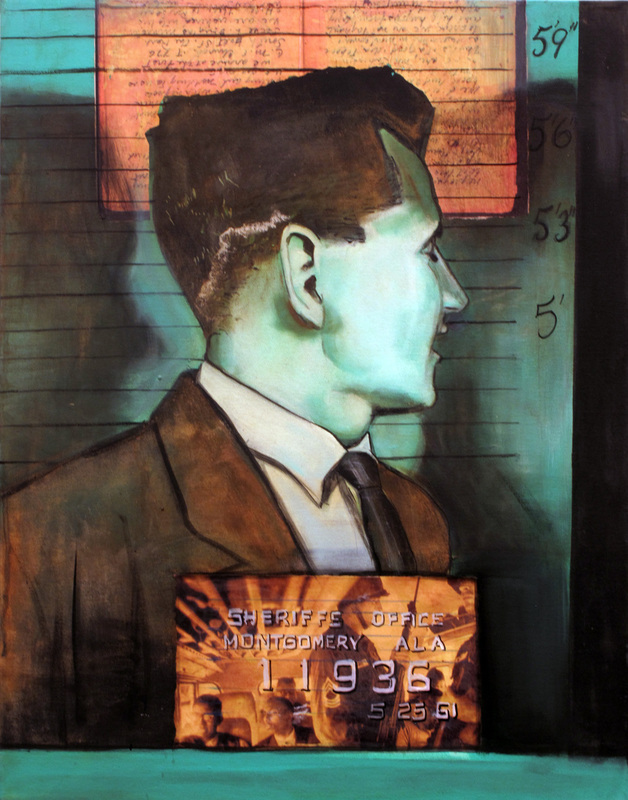 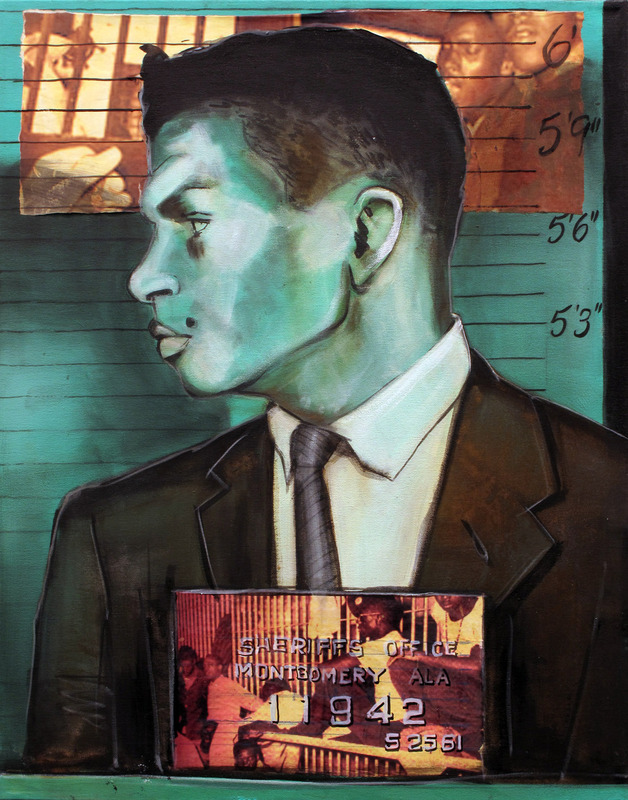 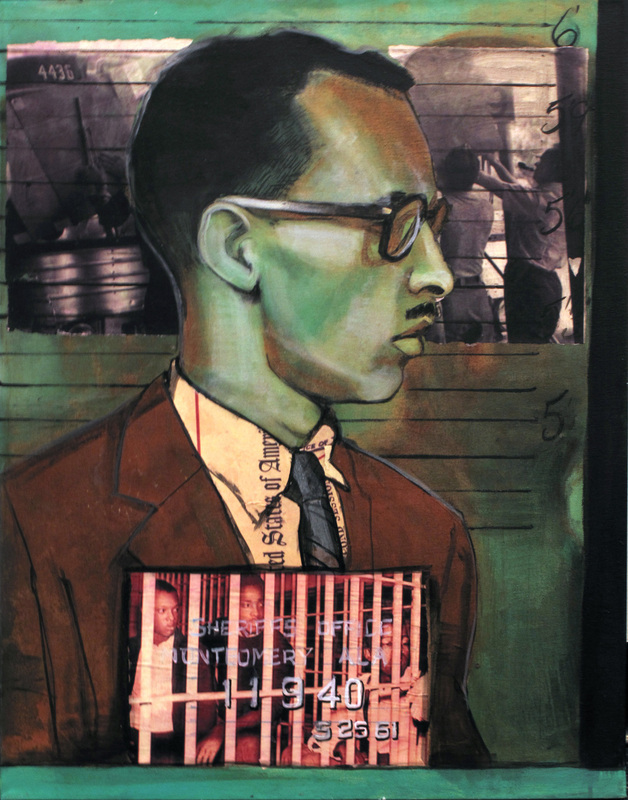 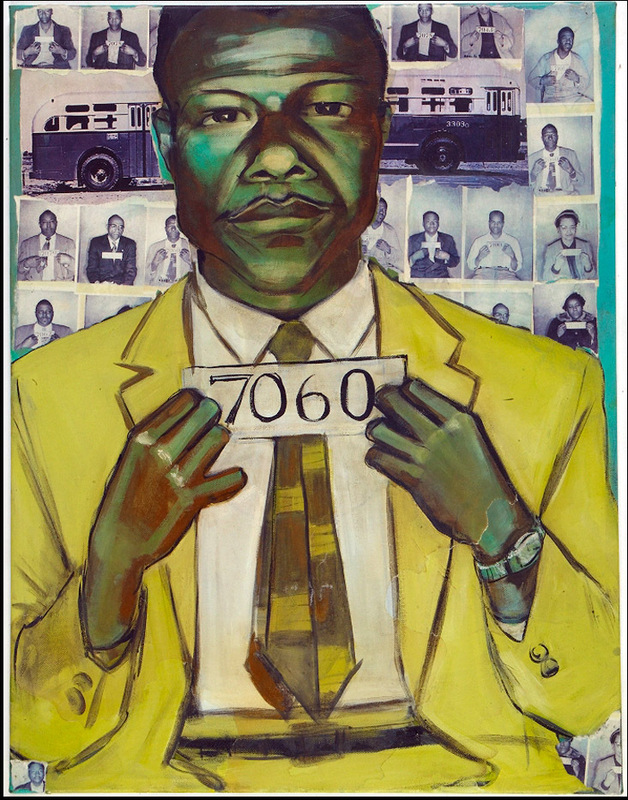 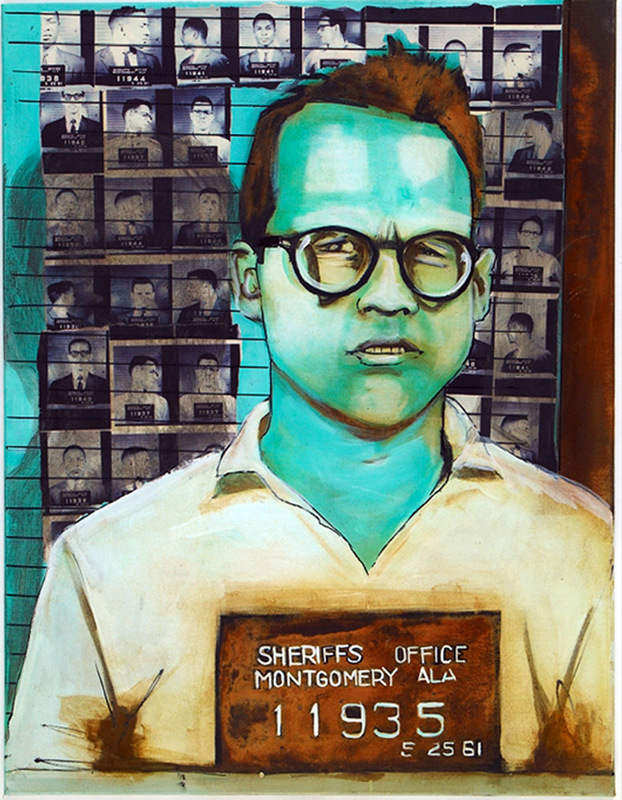 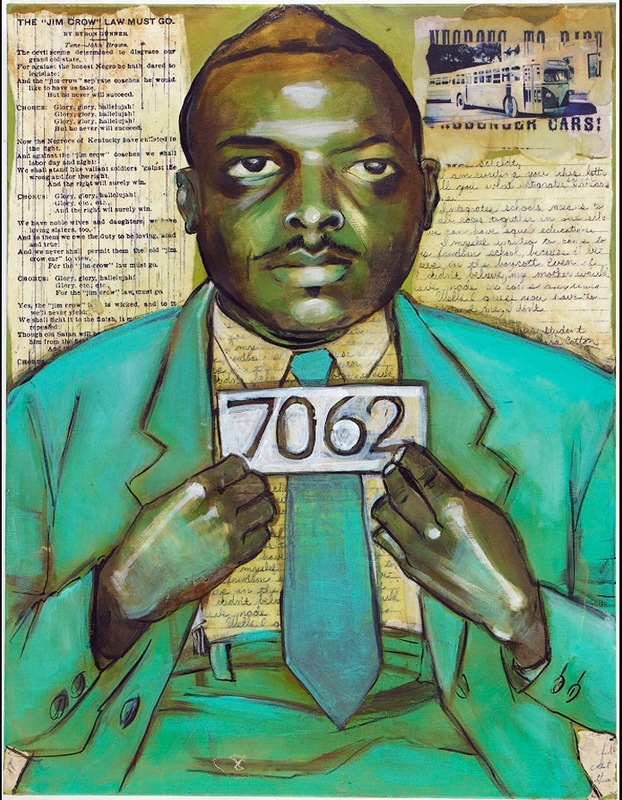 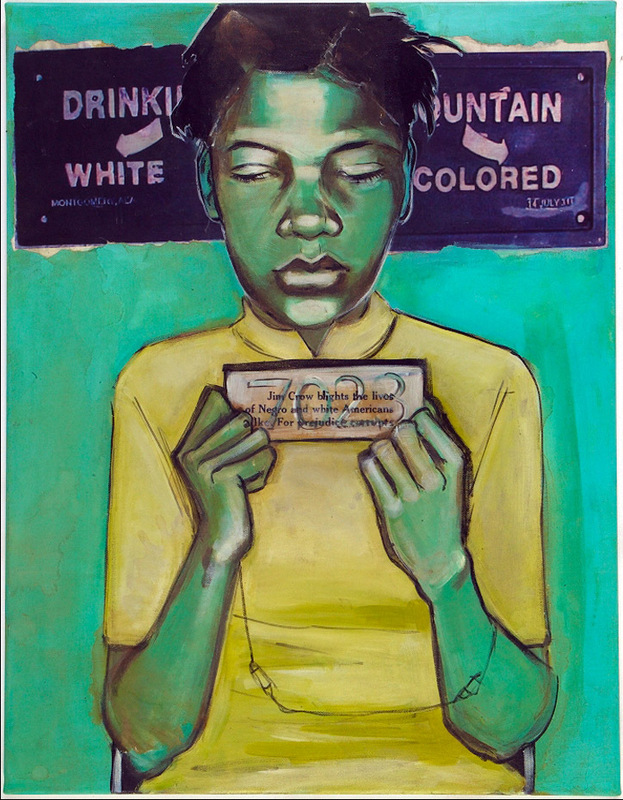 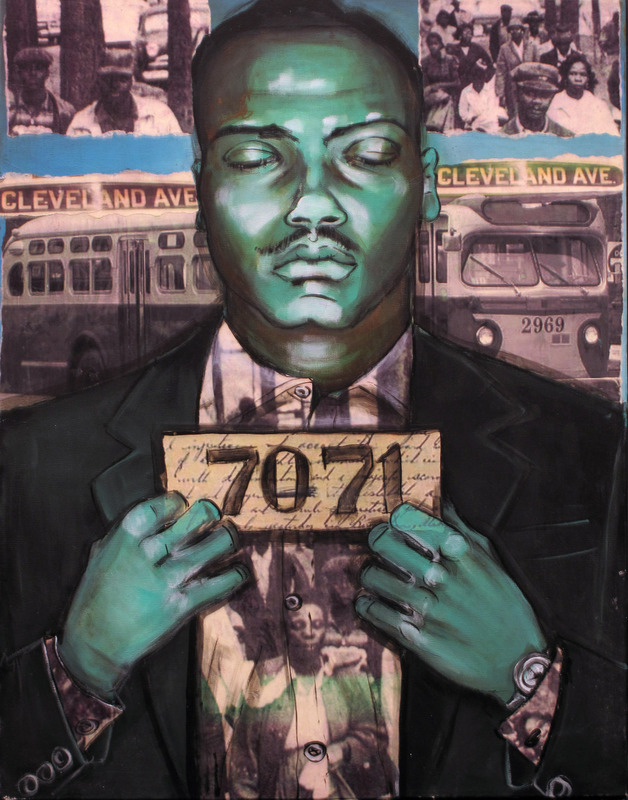 Paintings from mug shots of famous and non famous people arrested during two incidents amidst the civil rights movement demanding desegregation and equal rights for all. 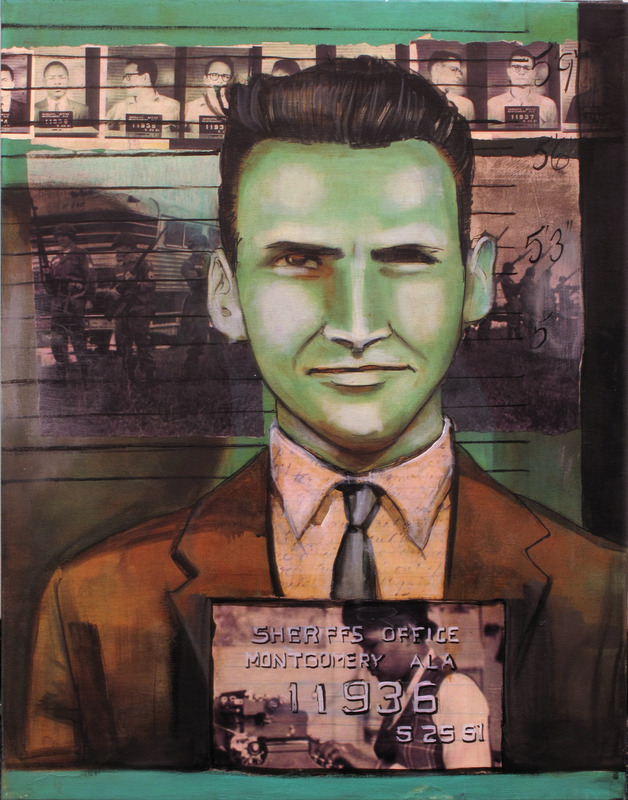 The original inspiration was mug shots I found on www.thesmokinggun.com. 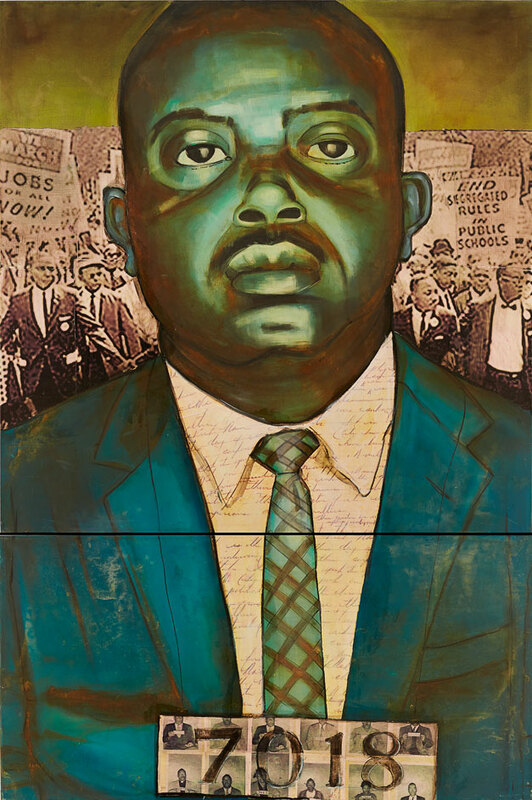 The significance of the two dates is that you can see that in the 5 years that passed between the two incidents, the civil rights movement matured: the raw anger became organized and focused and better dressed, but also the police photography became more sophisticated: the subject matters are photographed using 2 lights, they're standing and their height is visible. 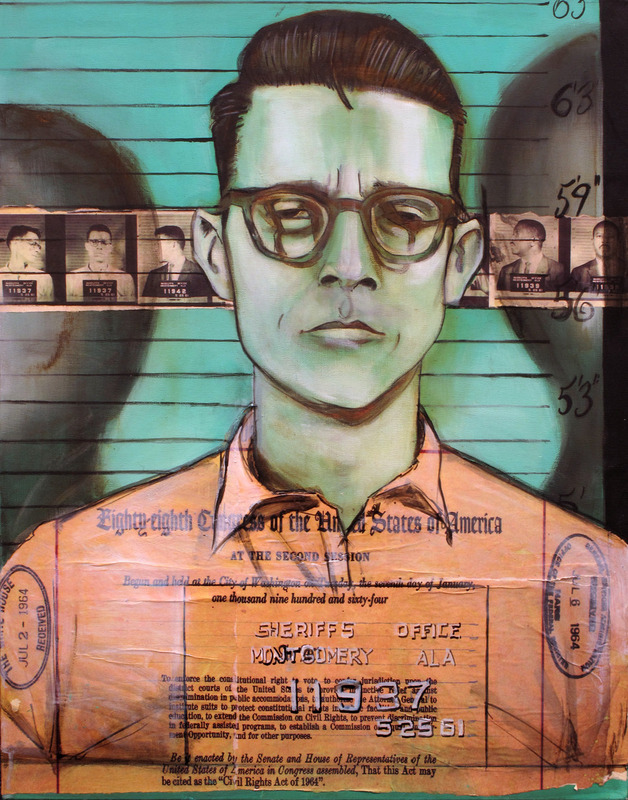 The plaques from the 1961 arrests carry much more information: place and date of arrest, whereas in 1956 the men and women arrested were merely sitting down and carrying numbers.